That’s the message I heard several weeks ago in my morning meditation. You see, I had a moment of fog and cloudiness. I couldn’t see clearly and started to feel sorry for myself, sulking that I was unclear about my path. And I’m supposed to be the one helping others be clear about their mission and brand! Once I consoled my ego, I realized it’s perfectly okay to be unclear. This is a part of life. People and businesses go through it all the time. In fact, once I assessed what was happening I realized part of my challenge is that I was being asked to step up into a new space in a big way, unchartered territory I’d never been before. Certainly there should be moments of uncertainty, anxiety and overwhelm. What did I do? I put marker to white board and started brainstorming for a few hours through a process I call a Mission M.A.P. (Mission Action Plan) just like I’ve done with so many other clients before. Except I was my own client. Starting with my Mission and going back to my core, I got really honest with myself and tapped into the vision for my highest self. I have too many a-has to share from that experience, but the biggest was that I’d been spending too much time and energy in a few business areas that were depleting me instead of empowering me, and this was making me loose focus from my core Mission. When I became at peace with releasing these areas not perfectly in alignment with my Mission, it opened up several other much bigger opportunities that were better aligned to my mission and vision. 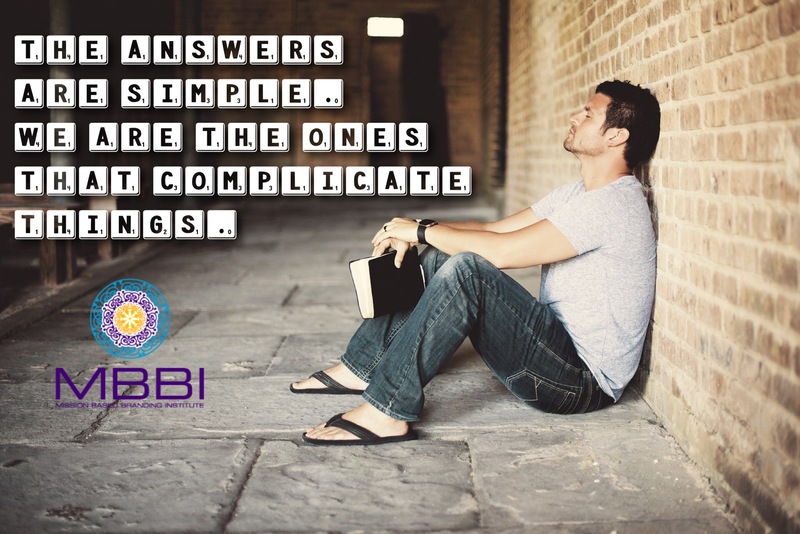 The answers appeared during the process and I felt an immediate sense of assurance, peace and relief. In fact, I didn’t understand how powerful a process it is until I shared my findings with my accountability partner, who knew of my fogginess and was both surprised and thoroughly impressed at the outcome. It made me realize the importance of MISSION-Based Branding. When you start with your Mission and Why, it’s easier to know when you’re not on the right path and out of alignment. And very importantly–How you do it or What you do aren’t as important as Why you do it–you can change jobs, change industries, change cities and when you’re in alignment with your Mission, the Why stays the same. And interestingly, it’s happened to me several times through the years. Inevitably it happens at a point when I’m empowered to step up in a bigger way, and I begin to question my current path and where I’m going. Whenever I start to feel overwhelmed or uncomfortable in my business, or my growth stagnate or deplete, I do a Mission M.A.P. What’s my Why–what do I/my business stand for? Reconnect to your Mission and core values. What’s the Vision for my highest self, and who do I need to Be and how do I Live? How will you [God,Universe] use me today/this week/this year? Feel free to leave some of your answers in the comments below. Here’s to a mission-filled life! I only do a few of these a month, so if you’re interested in getting a mission-based branding “tune up” (lol), click here to learn more and message me to set one up. About 7 years ago I was an aspiring writer. I was writing about 3 books at a time but never had a clear focus or purpose other than to be an author. Then one night I woke up suddenly and it hit me like a lightning bolt–write a book entitled Sculpt Your Life From Sketch To Masterpiece. It felt like it was part of my legacy to write a book, a way to share my mission and message that could serve hundreds, thousands, even potentially millions! It may sound extreme, but I was motivated by an internal drive to get that book written as quickly as possible before I die, and 3 weeks later the book was written and in 3 months it was released. Then a few years later, I was an aspiring bestselling author. Looking back, part of me wanted to have a bestseller as a sense of achievement and accomplishment. Nothing wrong with that, except that these types of goals bring temporary happiness and fulfillment. A much more impactful reason for having a bestselling book is to provide greater awareness, credibility, exposure and prominence so once again, I could get my mission and message available to hundreds, thousands, even potentially millions! A book is a tool for doing just that, along with a way to position you and your brand. How I continue to leverage my book and mission to brand and co-brand myself; and more! 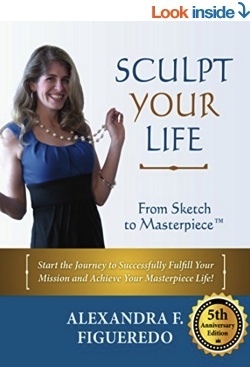 Oh and for the rest of the month of March, 100% of the proceeds of Sculpt Your Life From Sketch To Masterpiece ebook (listed at ONLY $2.99!) will go toward arts and empowerment charities serving girls. Click on the sidebar for more details, THANK YOU!! March is my birthday month and also Women’s History Month, so I knew I wanted to do something to celebrate and also give back in a bigger way. I’m in the middle of a few big projects, so I decided quite last minute to host a promotion for my ebook Sculpt Your Life From Sketch To Masterpiece--the recently updated 5-year anniversary edition of my first book. Last week on March 8th, International Women’s Day, I offered the ebook for free as it’s part of my mission to share my message with as many people as possible. Well, with little preparation and zero advance promotion, I ended up getting way more downloads of the book than I expected! I was ecstatic! Missionpreneurs, students, retirees, people searching for their mission and many others who may not otherwise know about my me or my book were downloading it! Quite unexpectedly, and quickly, it became an Amazon bestseller. In fact, among other free books, it got to top 10 in several categories and even reached #2 in one category where the #1 book was from an author I greatly admire. It even reached bestseller in the entire category of “Business and Money” for free Kindle books! I was floored! After the free book promotion ended, I continue to promote the book as offering 100% of proceeds for the paid version during Women’s History Month to charities I support that empower girls through the arts, a cause I’m particularly passionate about. Again, quite unexpectedly and with little promotion, I reached bestseller in my category where the likes of Tim Ferriss are fellow authors. On top of that, it’s helped co-brand me and my business, especially when reaching a new audience that didn’t know about my work previously. Wow! How did this all happen with little preparation and zero advance promotion? Do you know anyone else who has a book in them? Please forward this to them, thank you! Alexandra Figueredo is a brand strategist, author, publicist, trainer, singer-performer and founder of Mission Based Branding Institute. She’s on-a-mission to help mission-driven businesses and entrepreneurs share their message and help transform the world. 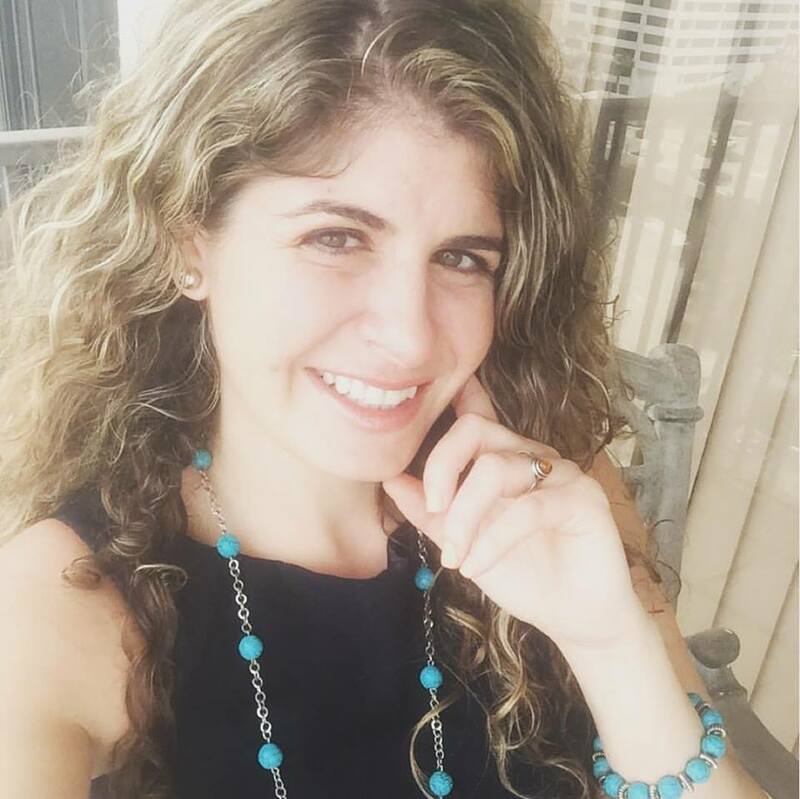 She has authored and coauthored multiple Amazon bestselling books including most recently “Sculpt Your Life From Sketch to Masterpiece – 5 Year Anniversary Edition” and “Shift Your Beliefs To Get What You Want.” Alexandra has received a master’s in Global Strategic Communications, bachelor’s in Business and Life Coaching certification. And there are other wonderful projects and organizations I’m leaving out or forgotten about! Why do we do all of this? In my reflection, I’m reminded that furthering our Mission, taking risks, feeling the fear and doing it anyway–it’s all out of contribution to ourselves and others. In fact I asked in my morning meditation for a special message to share with the world, and I was told:“Love More. Fear Less.” It’s really that simple. To that end, I’m offering a special gift to help you step up in Love, including a free link to download my book Sculpt Your Life. Scroll to the bottom of the email to learn more. Love! Are you a leader or changemaker with a message that can serve thousands? 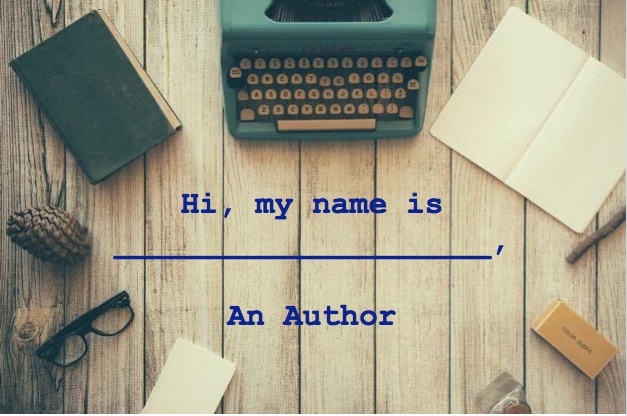 Have you ever dreamed of writing your own book and being an author? Is there a book in you that’s bursting to come out? I’ve opened up my popular writing course once again! As a branding strategist, writer, speaker and publicist, I know how important it is to get your voice out to the world! I’ve been part of bestseller campaigns, gotten free press from my books, landed speaking engagements and many more opportunities from being an author. After several requests over the last few months from aspiring authors, we have opened up our Writer’s Mastery Course once again to help you get it done! If you are a Mission-Driven Entrepreneur, NOW is especially the time to step up, BE THE MISSION and share your Authentic Voice & Message with the world! It may feel daunting to write a book, but you have a message and you must get it out! 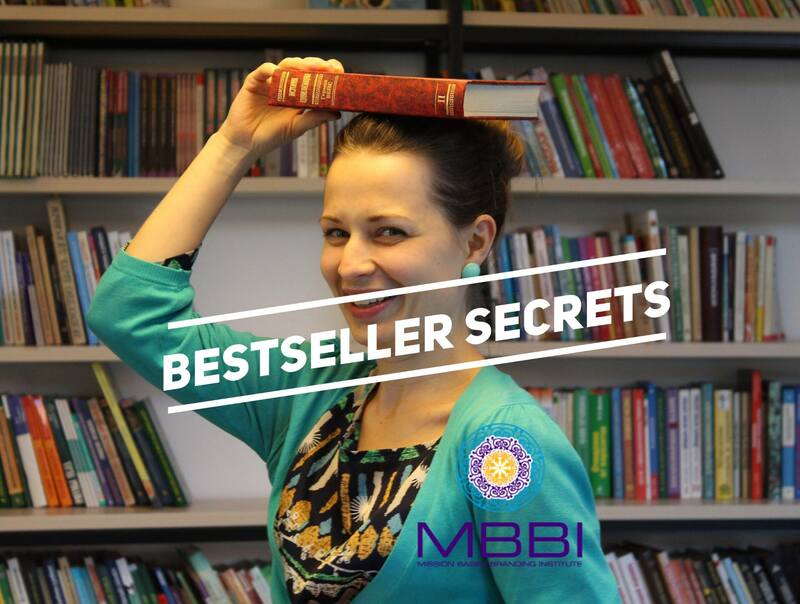 I’ll provide a Step-By-Step guideline of exactly how I wrote my first book in just 3 weeks, and give you a blueprint for how I took my book from idea-to-launch in 3 months! SPECIAL BONUS GIFT: I’m offering a special Early Bird BONUS for anyone committed to writing their book who registers to the course by March 17th the opportunity to have a complimentary branding and writing strategy session with me, valued at more than the program itself. The number is capped due to the interactive group coaching, so if you’re ready to step up, make sure you register ASAP to claim your bonus personalized session! I hope you can join me to step up and BE THE MISSION! If you have any questions or conflict with the dates, please email me and we’ll set up a time to chat. 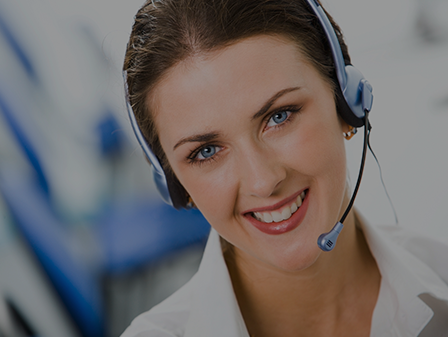 Or if you need a more customized, one-to-one Coaching Strategy, I can help with that as well no matter where you’re at in the book writing and launch process. SPECIAL BOOK GIFT: In honor of International Women’s Day, which is TODAY (March 8th), I’m offering my book Sculpt Your Life for free. Please download it and share the link with all the women, Missionpreneurs, creatives and artists you know who want to step up and BE THE MISSION! All proceeds of the kindle book during the rest of the month of March will go toward Mission For The Arts (charities I support that empower girls through the arts). SURVEY REQUEST: As a special favor to ME, would you please take this quick Survey on Entrepreneurship? 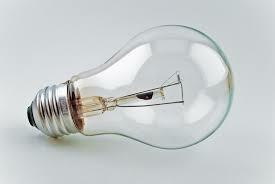 It should take 5-10 minutes and will be used for my upcoming books and articles on Entrepreneurship. Thank you! 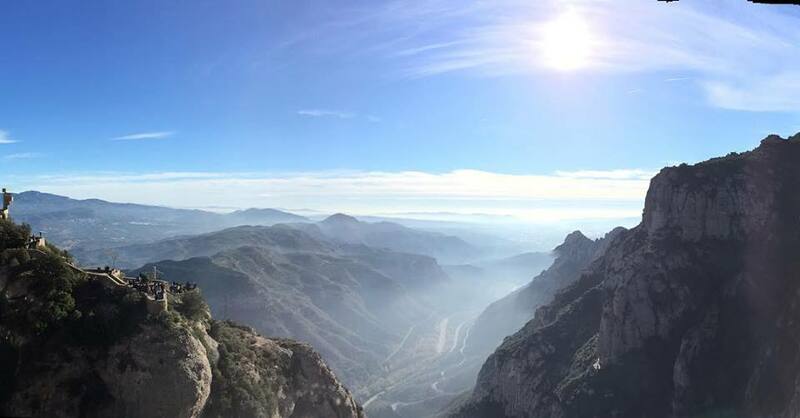 How to Find Inspiration & Why I Went On Sabbatical to Spain! Recently, several people have asked me where I find my inspiration. I’ve written so many books, you have so many ideas, where do you find it? Inspiration to me is tapping into your intuition, your divine inspiration is like God tapping on your shoulder and you can either listen or ignore it. Meditate – “Listen to be present to Listen”That means that you you can use your sense of hearing to become present to your surroundings and your body. Then once you are more present (not in your mind), you can begin to listen to answers from your intuition, God/Universe. How do you find your inspiration? Share with us in the comments below. Perfection doesn’t exist. It’s an illusion. Just do and be your best. How has trying to be perfect impeded your growth or held you back? I’ve struggled through this need to be perfect throughout my life, feeling that I had to change myself or be something else because I sought approval from other people. It’s affected everything from my career choices (I used to be a former banker), to relationships, to my body image. Trying to be “perfect”, essentially something I’m not and can never live up to, has been a huge form of pain. Fitting a mold others’ put on me has caused me to go into professions and industries that were not mission-driven. Living up to others’ expectations, and also expecting those expectations on others has hurt countless relationships, personally and professionally. Even the need to be perfect caused a delusional tug-of-war in my mind that created guilt in the form of a distorted negative body image and even led to an eating disorder when I was a teenager. Perfectionism–AND lack of being perfect–has been a convenient form of self-sabotage. Apart from everything else I’ve mentioned, it’s kept me small, blocking the creative flow and preventing me from stepping up into the highest and fullest expression of myself. Again, perfection is an illusion. I choose now to be perfectly imperfect and rather strive to do and be my best, which I do every day. How about you? 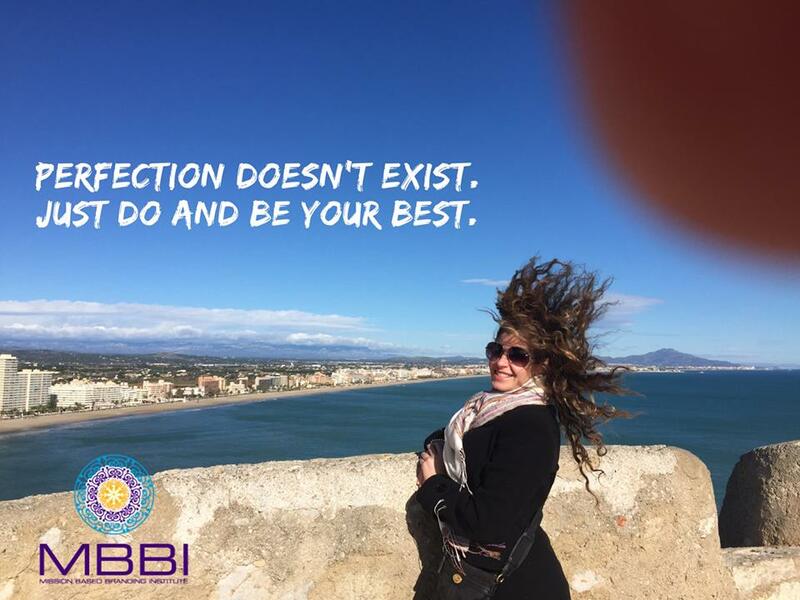 How have you tried to be perfect and how has it affected your creativity and authenticity? What helps you move past this? As you all know, I have been in self-induced, self-reflection mode as I’ve been traveling the last few months. I wanted to share a simple strategy I’ve been using when I’ve been stuck and need answers. Step 4: Listen and write down your messages in your journal. What do I mean by Empowering (vs disempowering) questions. For example, a general question such as “What should I do with my life?” implies you’re stuck or lost, and may lead you on a perpetual cycle of feeling stuck or lost. Instead, a tip I learned from Oprah, ask something as simple as “What is my next right move in _______?” This can be applied to your life’s path or your business, or even a conversation or a game. A specific question like this not only gets your mind thinking strategically, but also connects to your soul, intuition and higher self. What works for you to still your mind? Let me know in the comments! Wait Til Next Year To Change? Time and Space are illusions. When you understand this concept of time and space, you realize that almost nothing is impossible. It might not appear possible in this moment in time, but with a decision and inspired action, the wheels of motion can be set that will bring it into reality. If it is real to you, it is real. About 6 months ago, I was on one path in my life, my Plan A, as I call it–a path that was heavily inspired and guided by my own intuition and crafting. I was getting new clients, creating new brands and programs, and gaining more success in both my personal and professional life. Then suddenly, in a moment, I received an intuitive hit in just one meditation: “I need to move to Spain.” I didn’t know why or for how long. The timing was most definitely not perfect; in fact I’d call it bad timing because I’d have to leave everything I had spent that year working on. I was excited yet skeptical. As a Missionpreneur, I knew I needed to follow this inspiration, so I answered the call. I was entering the Gap of Faith. Perhaps as a form of self protection, I verbalized all the practical excuses that I was uprooting suddenly to Spain: to dance in Sevilla, write my book, and work on a travel-related project. Still, some of my family members called me crazy, impulsive and irresponsible. Staying firm to my decision, and checking in with God along the way, before I knew it I rented out my condo, packed my personal belongings, moved out and begin this new journey. Not surprisingly I fell in love with Southern Spain and more importantly fell in love with myself! I believed I needed to stay at least 6 more months and I was excited thinking about new opportunities and possibilities for my life. A couple of months later, while I was meditating on why I came to Spain and my course in life, I received a series of messages: “I am a blank slate. I can create whatever I want for my life. It’s time to step up and focus on making a greater impact in the world.” I was inspired to dream and act bigger. Nearly overnight, the original “practical” reasons I went to Spain no longer mattered to me. At that moment, it was no longer in my best interest to stay in Spain. Damn it! I was fearful that once again my family wouldn’t understand and would think I was being irresponsible or flaky. Yet once again, I listened. When I returned to Miami, the following morning I went to church with my mom. The priest’s homily was about a Florida bishop who had already started his career in finance when he got the call to become a priest and enter seminary. Even though he had started on one lucrative path, he got the spiritual call and answered the call, even when it seemed out of place, inconvenient and hard to believe. I thought to myself “Wow, what a timely blessing this is, and it parallels my life! Now my mom will understand what I’m going through.” But I came to find out, that sermon was really more for me. It was confirmation that I was exactly where I needed to be and that God’s loving call is far more important than any fears or insecurities or worries from my family, friends, society or even my own. We are constantly receiving messages from God and it’s our job to listen. Every day, I check in to make sure I’m on the right path. I listen and ask, and I act even when I have no idea why I’m doing it. The Gap of Faith can be terrifying, but also shows one’s resilience and perseverance. Since that intuitive hit back in Spain, I have been inspired to create new projects and start new businesses that have the potential to serve millions. You have the ability to create anything you want right now. You don’t have to wait until the beginning of the year, or the summer, or next year or “when the time is right” to do what your soul desires. You can even start working toward your “Plan A” today and decide tomorrow to course correct or change that path. The timing is perfect. What’s important is that you listen and be inspired to act at this moment. Try this. Right now close your eyes and be still. What is your soul urging you to do right now? What have you been ignoring or putting off? What is one fear or limiting belief that is holding you back from acting on this dream? What is one inspired action you can take at this moment to get your dream closer to becoming a reality? No time like the present, as they say. Feel free to leave your messages in the comments or ask the community for support! Connect with others on their own journey at Mission Muses group on Facebook.